NATHAN HAVENNER / GAZETTE Children wait with their parents for the Montville Township Easter Egg Hunt to begin Sunday afternoon at Cobblestone Park. 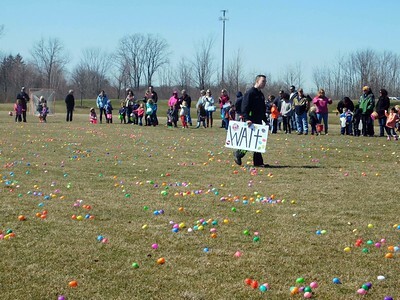 NATHAN HAVENNER / GAZETTE Crowds gather at Cobblestone Park for the fourth annual Montville Township Easter Egg Hunt on Sunday afternoon. Township Trustee Sally Albrecht said she expected 1,000-2,000 people to attend the free event. 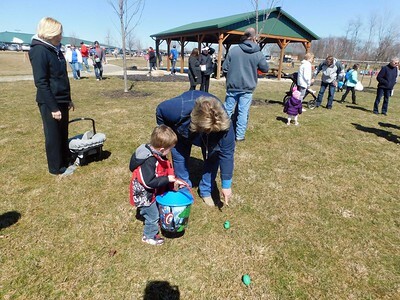 NATHAN HAVENNER / GAZETTE Connie Arduengo of Stow points out an Easter egg to her nephew Carter Smith, 2, during the Montville Township Easter Egg Hunt Sunday afternoon at Cobblestone Park. 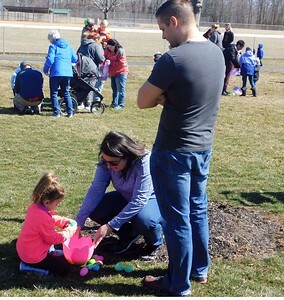 NATHAN HAVENNER / GAZETTE Alexis Jucikas, 3, checks out her prizes Sunday with parents, Dan and Mozhdeh Jucikas of Brunswick, following the Montville Township Easter Egg Hunt. 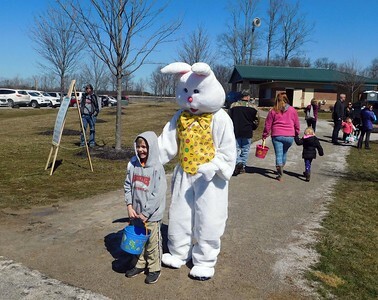 NATHAN HAVENNER / GAZETTE Silus Hagen of Medina Township stops for a quick picture with the Easter Bunny at the Montville Township Easter Egg Hunt on Sunday afternoon at Cobblestone Park. 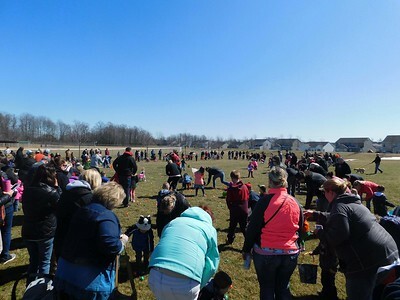 Children wait with their parents for the Montville Township Easter Egg Hunt to begin Sunday afternoon at Cobblestone Park.